I also wish to acknowledge the sensitivity of some Palestinians to suggestions from those of us who are only Palestinian in the sense that ‘We are all Palestinian’. I did not choose my nationality. I did choose to study, exhaustively, strategic theory and nonviolent strategy so that I could share them with those who might be interested. I have no interest in doing more than offering this suggestion and my help; if they are rejected, I will be understanding. And still supportive of the struggle to liberate Palestine. Of course, some of you are well aware of my wholehearted support for your struggle as well as my long-standing position on the issue of your strategy but it feels appropriate to repeat this offer more publicly at this time, particularly given the suffering that is now being experienced. Hopefully, this offer will reach new ears among those of you who are ‘ordinary Palestinians’ but also strategic thinkers, a rare capacity in any struggle, as history graphically illustrates (and for which an argument over the existence or otherwise of a ‘Palestinian Gandhi’ is not useful). In essence, I would like to encourage you to seriously consider planning and implementing a comprehensive nonviolent strategy for the liberation of Palestine using a book I wrote in the early 1990s: ‘The Strategy of Nonviolent Defense: A Gandhian Approach’ http://www.sunypress.edu/p-2176-the-strategy-of-nonviolent-defe.aspx This book – for which cheap, second-hand copies are readily available via the Internet – explains how to develop and implement a comprehensive nonviolent strategy to liberate countries living under dictatorship or occupation. I used difficult cases such as Palestine, Tibet and China (each of which I studied extensively) to ground the book. I also explained why nonviolent strategy, intelligently devised and implemented, is empirically superior to any military strategy. And I exposed the flaws in the fairly widespread delusion that the British in India were ‘civilised’ opponents and this explains why nonviolence worked in that context. Anyway, if you wish, you will get a taste of the strategic thinking in the above book by reading the brief article ‘The Political Objective and Strategic Goal of Nonviolent Actions’ recently republished here: https://www.pressenza.com/2014/07/political-objective-strategic-goal-nonviolent-actions/ This article explains the vital distinction, which is virtually never understood, between the political objective and the strategic goal of all nonviolent actions. This offer is not intended as criticism of the courage of Palestinian efforts but, if used, the strategic theory and twelve-point strategic framework in this book would facilitate the development and implementation of a far more comprehensive and, equally importantly, precisely focused strategy for the nonviolent liberation of Palestine. For example, it would help Palestinian strategists to understand how to more effectively focus and use the tactics of boycotts, divestment and sanctions (BDS) as part of a comprehensive strategy and to recognise the importance of identifying many other tactics to complement BDS. By basing Palestinian strategy on a precise political and strategic assessment, the definition of a clear political purpose and related set of demands, the definition of the two strategic aims and the appropriate strategic goals (of both the defense and the strategic counteroffensive), by clarifying the conception of nonviolence that will be utilized, identifying the leadership structure including the process that will be used to ensure the maintenance of effective strategic coordination, by nominating communication processes, preparations, elements of the constructive program, the nature of your organisation including the decision-making structure and process, the timeframe of the strategy, the tactics as well as their sequencing and attendant peacekeeping, and by using a clear evaluation process to gauge progress in the struggle you will give life to a strategy that can then be widely communicated to your many allies around the world giving people vast opportunities for involvement in support of your struggle. Of course, even the most sophisticated nonviolent strategy cannot guarantee to prevent insane and genocidal opponents – see ‘Understanding Obama and Other People Who Kill’ http://english.pravda.ru/opinion/columnists/13-05-2013/124539-obama_people_kill-0/ – which have the backing of key puppets – see ‘Statement attributable to the Spokesman for the Secretary-General on the situation in Gaza’ http://www.un.org/sg/statements/index.asp?nid=7901 and ‘UN’s Ban Ki-moon is a partner in Israel’s crimes’ http://electronicintifada.net/content/uns-ban-ki-moon-partner-israels-crimes/13716 – from using military violence against us. But we can plan to minimize its likelihood, minimize its impact if it is used and to ensure that it is always strategically counterproductive for our opponents. I wish to acknowledge some previous responses by Palestinians (most recently, 18 months ago) to my offer which touch on the problems Palestinians would face in developing and implementing this strategy. So it isn’t going to be easy. But the point is this. Palestinians are struggling with enormous courage, as they have always done. And the ‘world public’ is really waking up to what is going on. 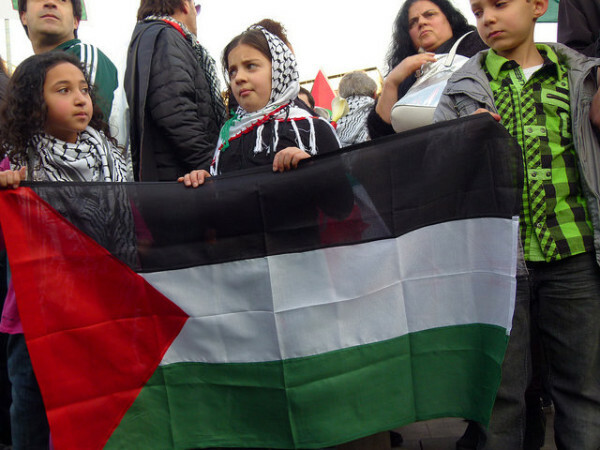 A comprehensive nonviolent strategy will allow all of us – those of us who are Palestinian and those of us in Israel and elsewhere around the world who identify with Palestinians – to play a strategically effective role in your liberation struggle. So if you are interested in developing a comprehensive nonviolent strategy for the liberation of Palestine, I would be happy to assist you to do so. And there are many solidarity activists and groups around the world who will no doubt be happy to help implement it.